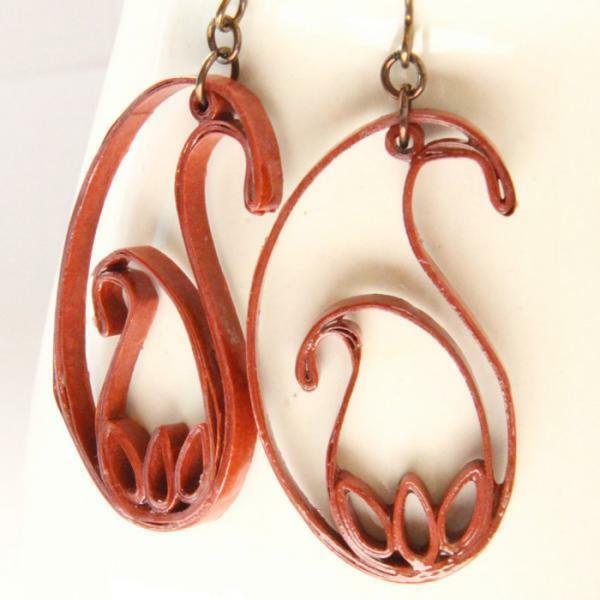 These gorgeous paisley earrings are eco friendly and handcrafted by the art of paper quilling. I've been wanting to make paisley earrings for awhile, and I finally got around to it! 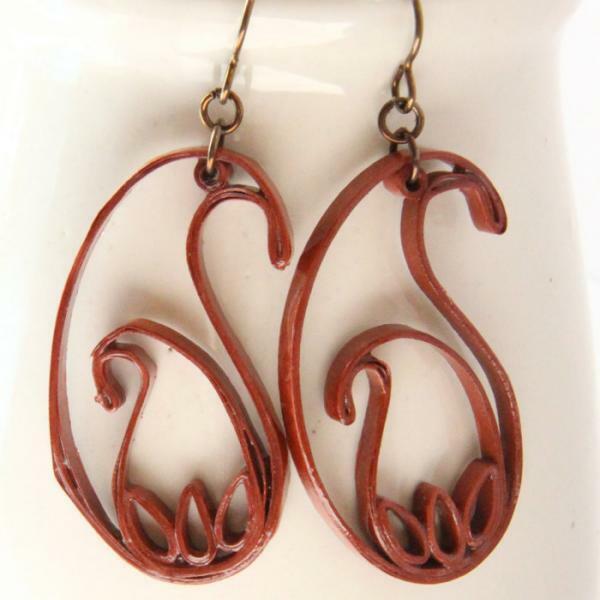 This pair is made from a gorgeous rust brown paper and are inspired by a design I saw on an Indian sari. 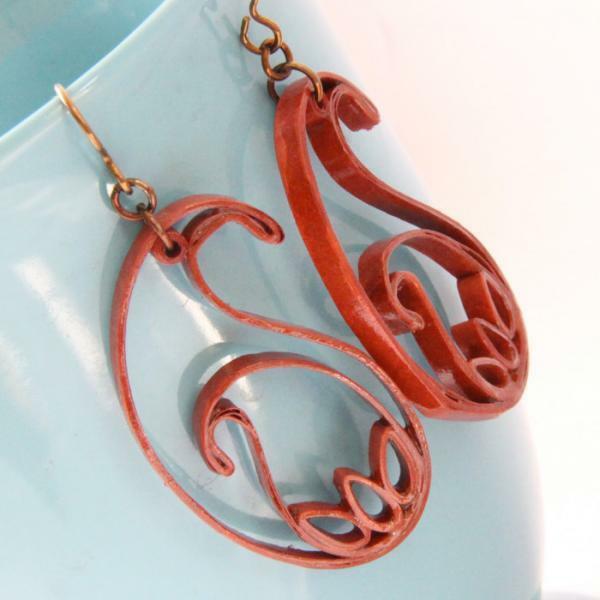 The wearer will be sure to get many compliments on these beauties! 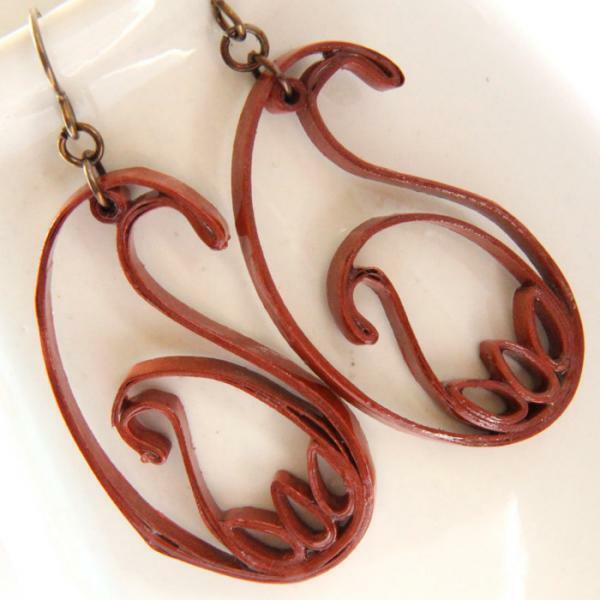 They are carefully hand varnished in several layers for a sturdy, water resistant finish. While they are very water resistant, due to their open construction they are more delicate than many of my other earrings. Just treat them as you would any fine jewelry by placing them in a safe place when not using them and they will last as long as any other jewelry. 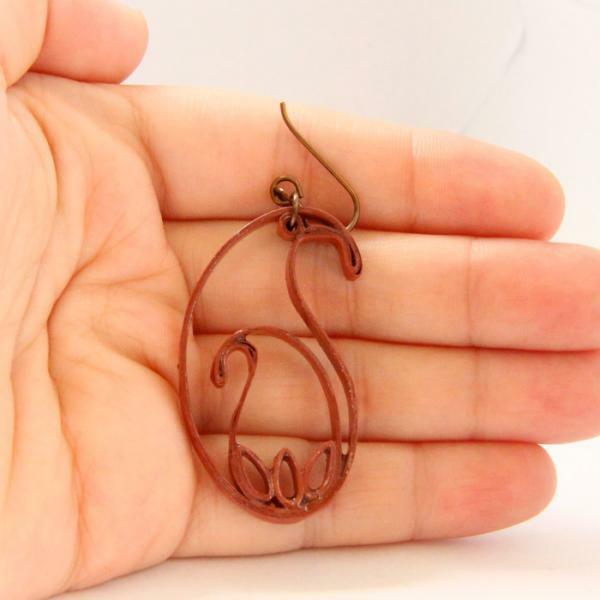 Each earring measures 7/8" (2.2cm) wide at the base and are 1 3/4" (4.2cm) tall not including the earwires or jump rings.